In a perfect world, there would be more chocolate chips in a a cookie than dough. Our world is not perfect, but our cookies can be. Thanks to a secret ingredient that replaces some of the butter in the batter, the cookies hold their cute, li’l dome shapes and bake to a lovely texture. The outer layer has a delicate crumble that cracks under the tooth and leads way to a moist center with rich, creamy chocolate chips. 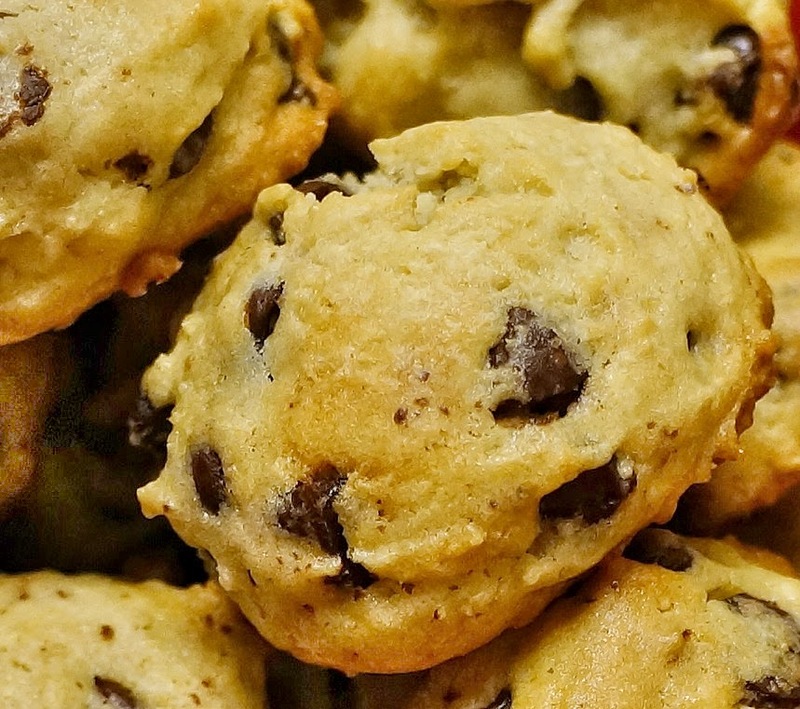 That, my friends, is the perfect chocolate chip cookie and you can make it in a snap. People collect all sorts of things. Some collect vintage automobiles. Others are on the lookout for costume jewelry. Despite having several really good chocolate chip cookie recipes, I can never resist trying a new one. Chocolate chippers are a childhood favorite for many of us and follow us well into our silver days. Some people like thin, crunchy cookies while others prefer chunky, chewy ones. Either way, cream cheese is the secret ingredient that brings a fresh punch of flavor to the good old chipper and magically changes the texture to a light crumble everyone can appreciate. Browning the butter gives the cookies a hint of caramel and cutting the sugar brings the chocolate to center stage. I took a batch of these li’l sweethearts to the office yesterday and got so many requests for the recipe. All it takes is a few pantry items, a big bowl and wooden spoon. Prepare the batter and store it in the fridge for up to a week. That way, it’s ready when you are. Make these cookies with the kids for the kids and for that little kid in you. maybe 30 minutes before you start making the cookie batter. Set butter over low heat until toasty and nutty, about 10 minutes. Combine flour, baking soda and salt in a bowl. Set aside. Cream butter, cream cheese and sugars until smooth. 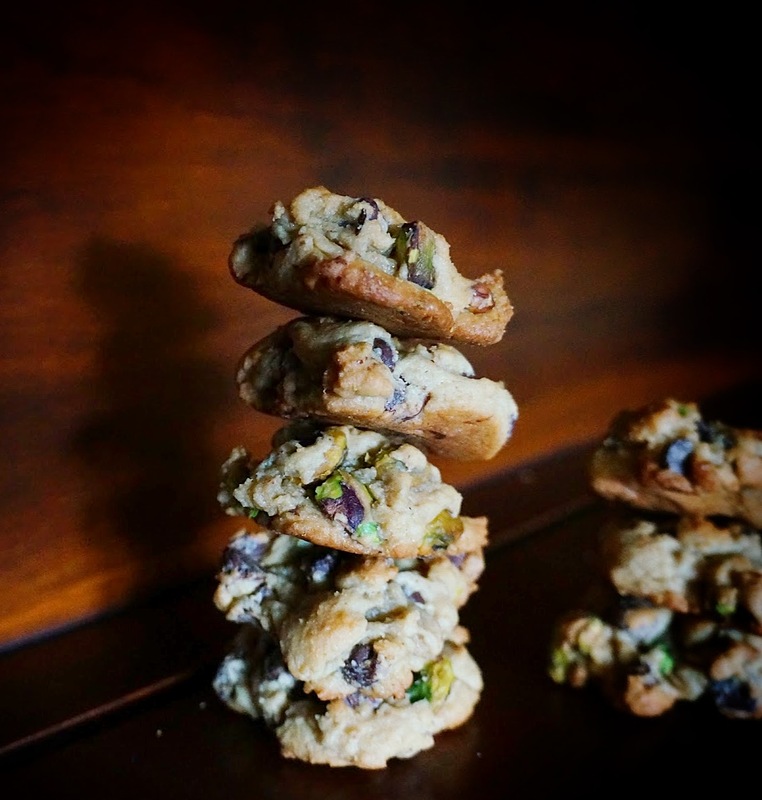 Fold chocolate chips and pistachios (if using) into the batter. 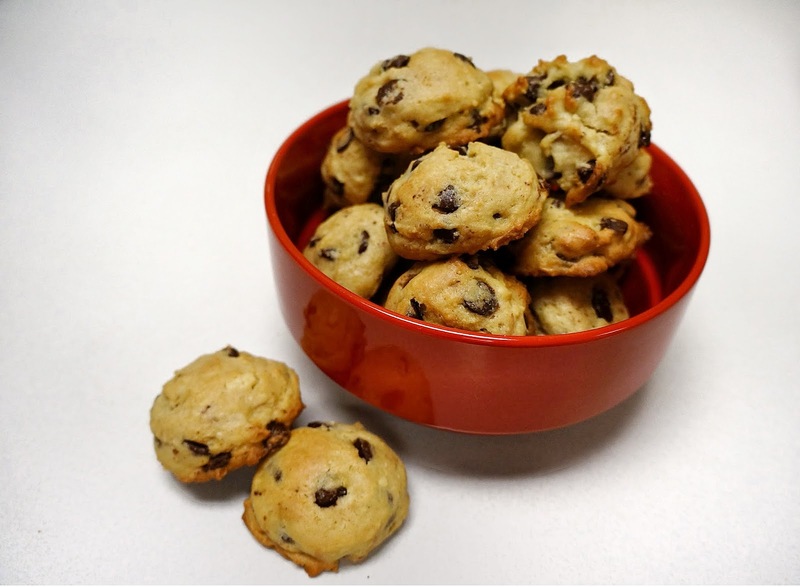 Take a tablespoon of cookie dough and roll into a ball. Arrange them about 1″ apart and chill for 15 minutes. Use a spatula to gently lift cookies and set onto a wire rack to cool. Serve still warm with little shots of ice-cold milk. 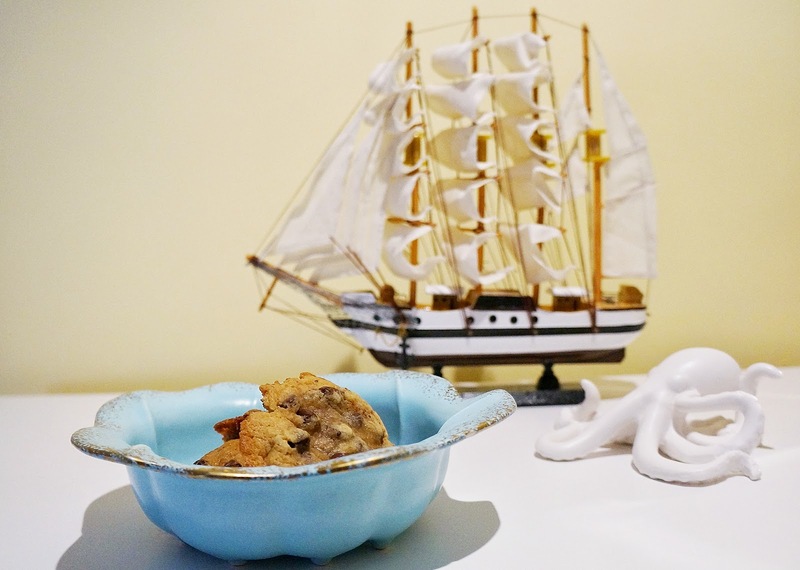 There is no shortage of chocolate chip cookie recipes out there and I have tried very many of them. This one, I have already made 3 times in the last 2 weeks. Yes, they really are that good. My niece and nephew get a weekly supply of fresh cookie batter delivered and Her Royal Littleness will finally put all her toys away just so she can have a couple. You would think after several really good recipes, I would give it a rest and stop looking, but I just can’t. Maybe I’m trying to make sure what I have really is the best stuff. You know, because before long, my little Daisy will be old enough to run home from school and say, “Mommy! Can you bake 600 cookies for the tomorrow’s bake sale?” It’s a small sacrifice. Hi Coco, so funny, I collected chocolate chip recipes too, always on the lookout, cream cheese……..what a fabulous idea! These remind me (visually, at least) of a chocolate chip cookie a friend's mom made in high school. I have to try them to see if they taste the way I think they will! I'd love to know if they taste familiar to you. This is probably my fav recipe. Anything with brown butter is, really. waiting for butter and cream cheese to reach room temp!!!!! I want to make these! Are you using all purpose flour? And I always weigh my flour so will that be 240 grams total? Thank you!!!! !